After publishing the Most Contagious Campaigns of the Year (which you can find here), we invited brand strategy and insight agency Flamingo to pour over our list of the best examples of commercial creativity in 2018 in search of common themes and personal favourites. 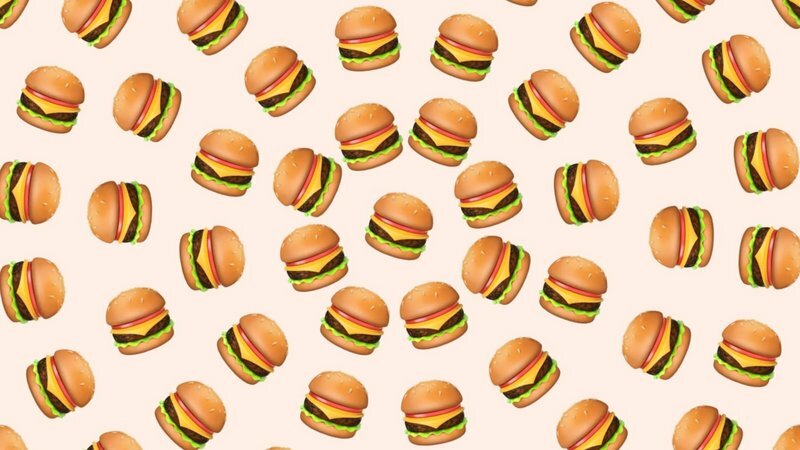 Despite the diversity of this year’s Most Contagious campaigns, there are shared characteristics that are surprisingly common, many of which centre on brands’ ever pressing need to appeal to millennials’ successors, GenZ. We identified three common characteristics: brand vulnerability, making an active contribution and taking a stand. Brand Vulnerability / Flamingo’s recent report on GenZ's new definition of authority revealed that, in order to gain sovereignty with digital natives, companies must be willing to expose their vulnerability. GenZ are intent on ending the reign of the ‘strong man’ as they demand openness from those in power, a trend acknowledged by Diesel, which has gone out of its way to highlight one of the industry’s biggest threats - fake fashion. 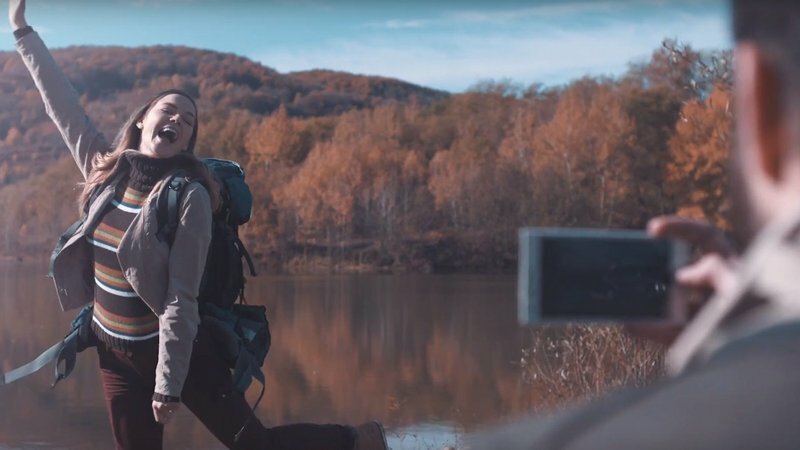 In a parallel bid to build trust, the meat company Greenfield has chosen to honestly tackle the issue of cattle’s carbon footprint, while Tide and Skittles ‘break the fourth wall’ and address GenZ’s media savvy by underlining the commercial intent of their commercials. 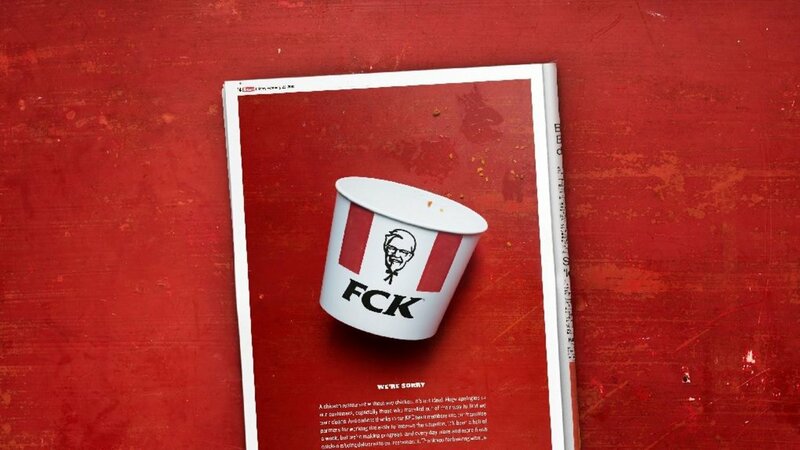 Perhaps this year’s most effective example is KFC’s FCK Ad, which brilliantly uses cognizant, self-deprecating humour to publicly iterate the company’s blunder. Whereas in the past they may have tried to brush over it or lay blame elsewhere, this time they were vulnerable enough to see the funny side, laughing at themselves for being a “chicken shop with no chicken”. Active contribution / We have already seen that audiences are increasingly media literate. The pervasive use of digital tech and the online world has enabled consumers, especially younger ones, to gain an understanding of business strategy and content generation. The corollary of this is the understanding that, for a business communication with a social or political purpose to have resonance or impact, it must be relevant and authentic. It’s no longer enough to simply partner with a charity or have a side-lined CSR department. It’s certainly not enough to run a controversial ad without actually generating a social movement or actually doing something. 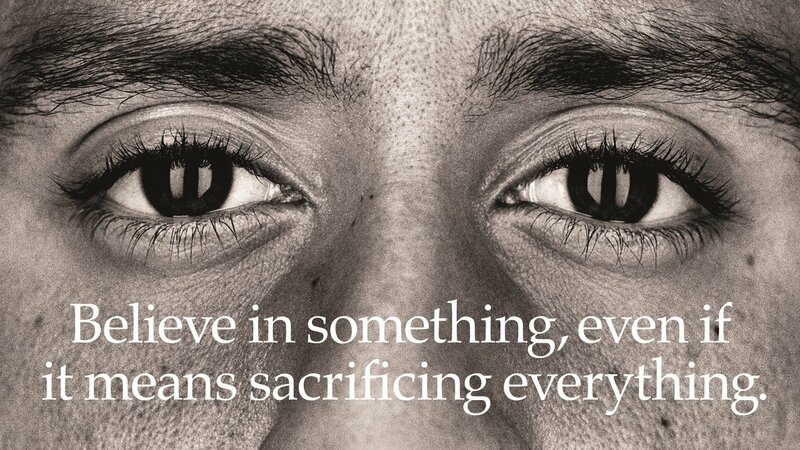 Consequently, we see in a number of the social ads making an active contribution, such as Diesel, Ikea and Lacoste. Taking a Stance / Our world can feel increasingly tribal, with extreme perspectives and adherence to binaries rife in political and social spheres. Holding a middle-ground position can start to feel untenable, even for brands. What we see in a number of these campaigns is that, rather than attempting to appease a broad spectrum of consumers, brands are taking a clear stance on who they are (and by proxy who their target is) – even if this means alienating a large part of their potential audience. 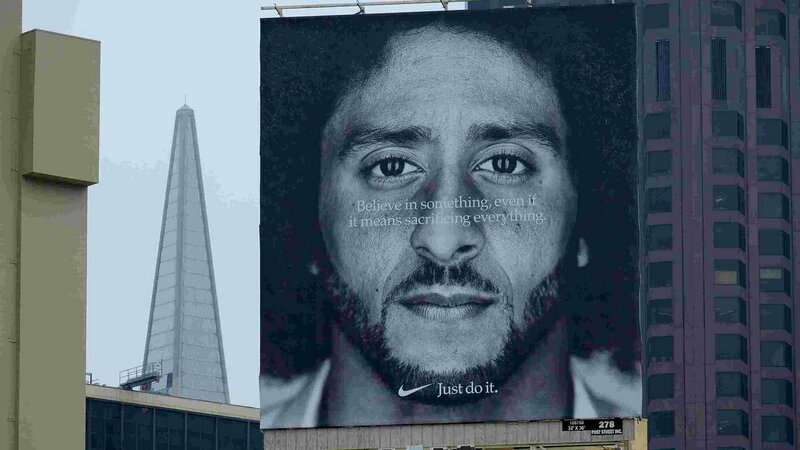 Nike is a prime example: both the Kaepernick and Nothing Beats a Londoner ads take a clear and specific position, and ignore the collateral damage. Authors: Bronwen Morgan, Louise Healy-Adonis, Matt Taylor, Giulia Spissu, Archie Heaton, Elly Bonney, Jessie Smith and George Byrne. Diesel, Go With The Fake (by Archie Heaton) / This commercial exposes an uncomfortable truth for high fashion brands: more often than not, people are buying their products for the logo rather than the craftsmanship or design. Instead of shying away from this, Diesel chose to do something subversive and radically simple by directing attention to their most distinctive asset, the logo. Perhaps more admirably, by doing so in a way that is tongue in cheek and culturally pertinent, they managed to create what many in the industry can only dream of - an extremely shareable advert. In an age when most of the sector would never associate themselves with such a style-adverse world, and one where normcore fashion is even evolving into the prideful wearing of overtly fake clothes, the contagion of this advert can be seen as a direct response to its distinctive nature. Furthermore, the ad has standout value to an even greater extent by acknowledging the saturation of our modern marketing environment and playing on it. In a world of homogeneous logos, we are evolved to become psychologically attuned when something is ‘off’ and thus Diesel’s jarringly different creative immediately succeeds in popping out at us. Gol Airlines, The Neymarless Campaign (by George Byrne) / This spot smartly tapped into frustrations around the marketing that surrounds football and the World Cup. Neymar arguably represents the zenith of the World Cup - an event as much for marketers as it is for fans. A footballer, Neymar is known equally for his promotional worth as his skills on the pitch. So, here was an ad that took on the frustration at the blitz of World Cup campaigns by subverting expectations; not using a footballer as the star for the brand, but helping him to do his job better. Football fans feel that football has become relentlessly commercial. This ad assured us that the brand is supporting the sport, leaving football to the footballers, and confronting the fact that people are exhausted by advertising in a context where marketing can often feel quite obvious and boring. It worked against the tide of relentless commercialism to make splash within it. The Times, JFK Unsilenced (by Giulia Spissu) / Newspapers are having a hard time right now. Facing a decrease in readership, and an increase in attacks from the body politic, they are constantly having to prove their value (and principles). Resuscitating the figure of Kennedy in the ‘JFK Unsilenced’ campaign is a sharp move from The Times. A totemic and well-loved figure, a martyr to some, JFK represents a different time: one where good deeds and ideas felt more fixed; a time before the ‘post-truth era’, where faith in institutions and the press seemed less shake-able. This goosebump-inducing piece of creative, together with the viewer’s understanding of the state-of-the-art technology needed to realise such an extraordinary speech, powerfully aligns The Times with this sense of timelessness, as well as a universal stability and integrity.